I've mentioned it before so naturally I will mention it again... I love the Live at the Garden concert series!! It's definitely one of my favorite Memphis Summer activities. Last time I gave you five tips to have the best Live at the Garden experience. This time I'm giving you another tip that is game changing for any outdoor concert. Root Beer Floats!!! My husband gets credit for this one. 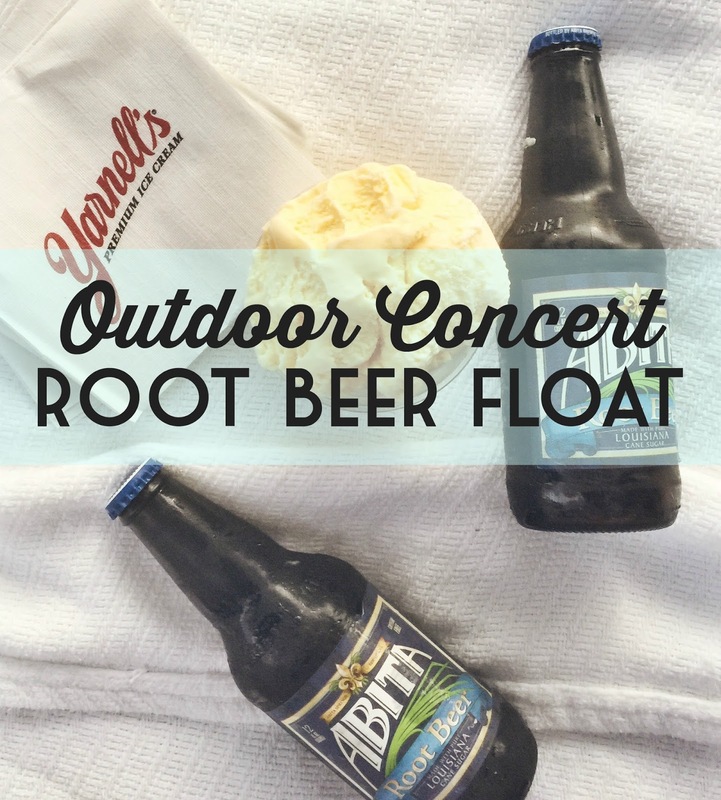 He suggested that we bring some root beer with us to the REO Speedwagon concert since coolers are perfectly acceptable and encouraged and then get some Yarnell's vanilla ice cream from the truck that we know and love and make floats. Brilliant!!! There's only one more Live at the Garden concert this summer!!! I suggest going... and making root beer floats. Happy to see you have enjoyed very much. thoughts of desk Tennis. vital regulations OF desk TENNIS AS in step with THE ITTF. The desk. The higher floor of the table, How much space do you need for a ping pong table?